Could a mandatory code of conduct be on the cards in the wash up of the current market study into the winegrape industry by the Australian Competition and Consumer Commission? 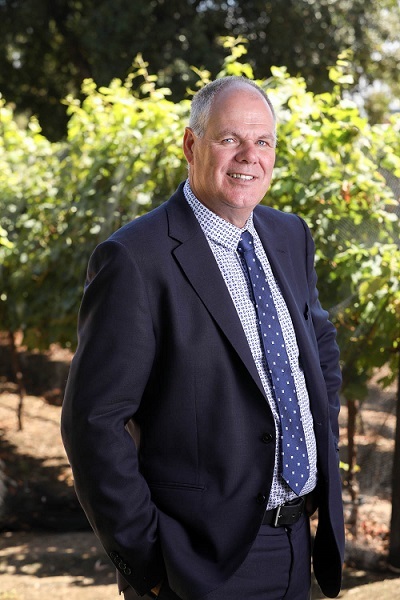 In his report to the Winemakers’ Federation of Australia’s annual general meeting in November, Mitchell Taylor, spokesperson for the WFA’s medium winemakers’ membership committee and managing director of Taylors Wines, described the prospect of a mandatory code of conduct as a “disaster for the industry”. We asked WFA chief executive Tony Battaglene to explain why his organisation is against such a suggestion. On 26 September 2018, the ACCC announced it would conduct a market study of the Australian winegrape industry. 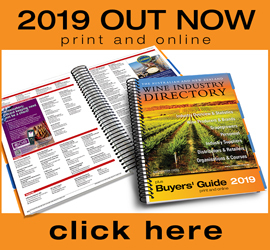 The purpose of the study is to complete an in-depth review of the industry and identify any market failures or trade practices issues that may be preventing the functioning of competitive markets, or resulting in detriment to winegrape growers. It is clear that the supply/demand situation in the sector has improved in recent years, which has permitted increases in grape prices. However, profitability for winemakers remains lower than ideal and the ability of Australian winemakers to increase profit margins on highly competitive domestic or export markets is very limited. One possibility from the ACCC study is the introduction of a mandatory code of conduct. WFA remains very concerned that such a decision may increase costs for grapegrowers and winemakers, and reduce prices as winemakers take a more conservative, risk-based approach to grape purchasing. This study has come after the ACCC released the results and recommendations arising from a study into the dairy industry. This provides the wine sector with some guidance into the thinking of the ACCC. In the dairy industry, the ACCC has recommended that the Australian Government introduce a mandatory code of conduct to apply to dairy processors. The mandatory code will include obligations for processors to give timely and transparent information to farmers about the price and non-price terms; prohibit the use of retrospective stepdowns; remove unnecessary barriers to switching and; provide for effective dispute resolution processes. Under the ACCC’s proposal, a mandatory code will not regulate farmgate milk prices or restrict the types of contracting options that a processor can offer. The rationale for the code is to reduce market failures resulting from these issues by improving the quality of information and price signals, enabling fairer allocation of risk, and enhancing competition by removing switching barriers. 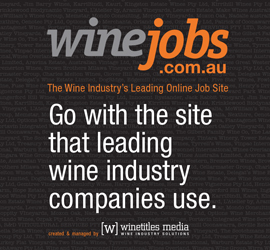 WFA is concerned that the ACCC does not understand the diversity of the Australian wine sector, the vast array of business models, the influence of international grape supply on demand and prices, the market power of the large supermarkets in Australia and internationally, and the highly competitive nature of demand for wine. Many of the issues it raises in its discussion paper demonstrate a lack of understanding of the sector and it seems to have based its thinking on a survey with a very small and unrepresentative response. If during the study, particular companies are identified during this process as behaving poorly, they could then become subject to an investigation. That is not an issue for WFA and we believe that contractual dealings between grapegrowers and winemakers should be transparent and support an environment of trust and respect. • supply agreements should not contain clauses that act as switching barriers; these include loyalty bonuses or other payments that are paid in one vintage but require ongoing supply into a new vintage • processors should publish information identifying how their pricing offers apply, including how penalties, such as those relating to quality requirements, influences pricing offers. The introduction of a mandatory code appears to be a standard option for recommendations arising from ACCC studies. In all cases, they concede that such a code will not result in an increase in prices to growers. • the practice of payment described in the Act in three deferred instalments has also become common in other states (and is included in Section 2.6 of the Australian Wine Industry Code of Conduct). • it is unlikely that the Australian Government would wish to intervene in the State Governments’ jurisdiction, as these matters could be changed in South Australia if the industry were to pursue these changes. • Because grapes are only produced once during the year and require streaming to a limited number of processing facilities, ill-conceived requirements around timing of delivery would inevitably result in lower quality gapes and wine and lower prices. These are just a few of the potential risks. 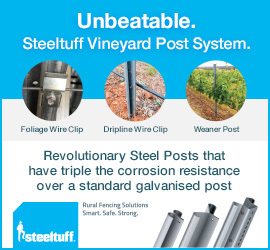 Our concerns about the mandatory code are not because of the mandatory nature, but rather the poor understanding of the sector by the ACCC may lead to illconceived requirements that will (for both grapegrowers and winemakers) increase costs, reduce flexibility, distort the market, increase red tape and provide less certainty. We hope that the ACCC will look at what issues do arise in the industry and, if a regulatory response is deemed necessary, then look at targeted responses. WFA wants to work with grapegrowers to improve all aspects of the trading environment. We believe that there are improvements that we can make, including the provision of better information that influence grape prices, throughout the year. This information could be prepared and presented by Wine Australia to better inform purchasing decisions. We also believe the ACCC needs to recognise the efficacy of the voluntary code of conduct and the efforts of the signatories. This article was originally published in the January issue of Grapegrower & Winemaker magazine. Click here to subscribe.